Southeastern Meat Association (SEMA) represents the interests, issues and concerns of meat and/or poultry packers, processors and distributors in the Southeastern United States. SEMA Members represent the top meat industry producers, suppliers, packers and vendors in the Southeast. Membership in the Southeastern Meat Association (SEMA) gives you and your company a chance to shape the future of the meat industry in the United States. SEMA Members stay abreast of industry news and regulations (SEMA Newsletter), and attend educational courses and meetings to increase the efficiency of meat and poultry plants. If you are a grocery retailer or restaurant looking for a great products to satisfy your customers - you have come to the right place! The Southeastern Meat Association (SEMA) is an organization of persons, firms or corporations who are meat and/or poultry packers, processors or distributors, and firms furnishing services or supplies to the packers, processors and distributors. Member companies represent the top meat producers and suppliers in the Southeast. The SEMA Board of Directors invites you to attend the Annual SEMA Convention. Brasstown Valley Resort & Spa is located in the North Georgia Mountains. 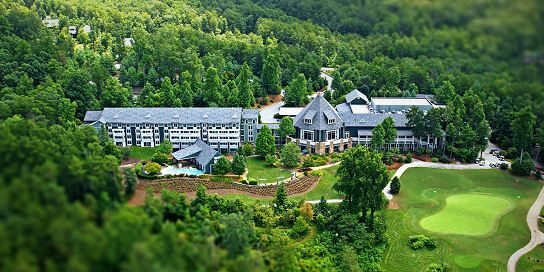 The resort offers championship golf, horseback riding through open fields, forests and streams, pond or stream fishing, fitness center, 9 miles of hiking trails, Equani Spa, tennis courts, outdoor pool, and an indoor heated pool. There is something for all ages. Nearby you can hike the Appalachian Trail, enjoy white water rafting, tubing, kayaking, and shopping. The program is designed to provide the attendee with a working knowledge of HACCP and its supporting programs. The information will be presented by certified instructors in short, concise lectures. In addition, within small working groups, the attendees will actually develop a HACCP plan and present it to the class for discussion and critique. Upon successful completion of the course, the attendee will be registered with the International HACCP Alliance and recognized as completing a HACCP training program. Light morning and afternoon snacks, as well as lunch,during the the two day training period are included in the registration. A Basic HACCP manual will be provided.